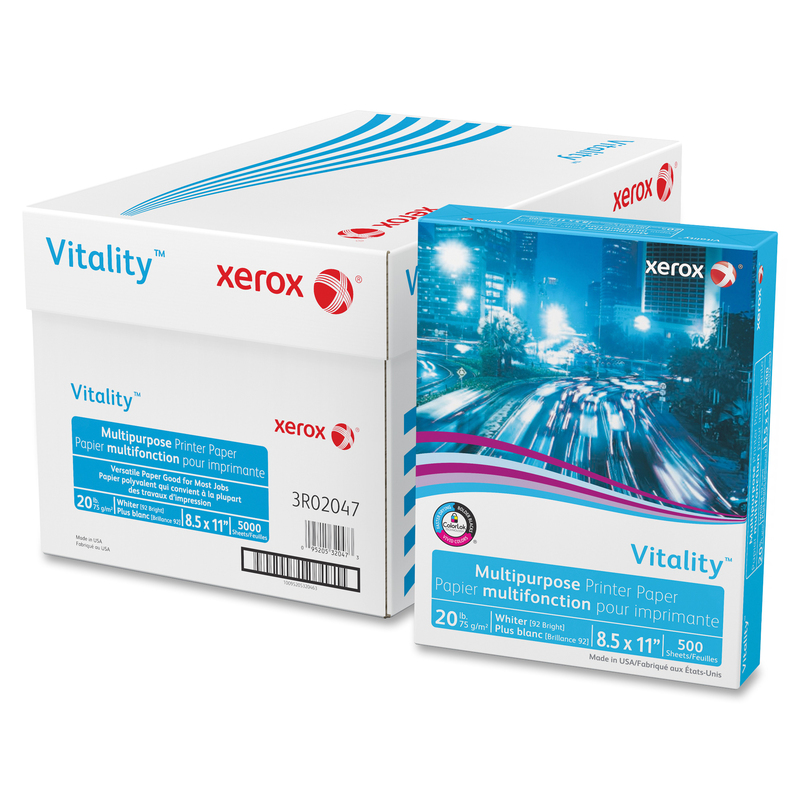 Letter-size Xerox multipurpose printer paper is excellent for printing in high quantities while maintaining the quality of the print. For your next high-volume project, consider having a case of Xerox high-speed copy paper on hand. Features ColorLok® Technology for bolder blacks and vivid colors with ink jet printing. Xerox multipurpose paper is perfect for documents with a crisp, professional look. White 92 GE brightness and higher opacity.